A surprise crate will be shipped to your door! This crate will contain a fun & random sampling of stationary goods; of which could include a notebook, notepad, notecards, stickers, origami & instructions, craft-paper or writing supplies. Every delivery has a different mix of product types of which were sourced both in the USA or Internationally. 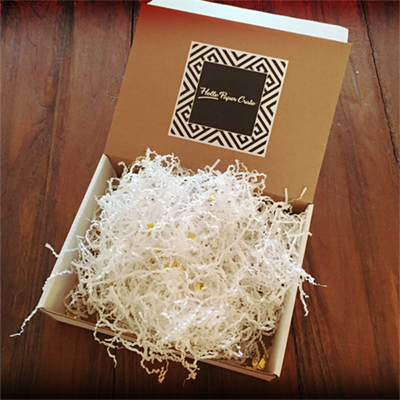 As a final touch every crate is given gold & paper confetti for shipping & a positive message card... making each delivery a little more special!